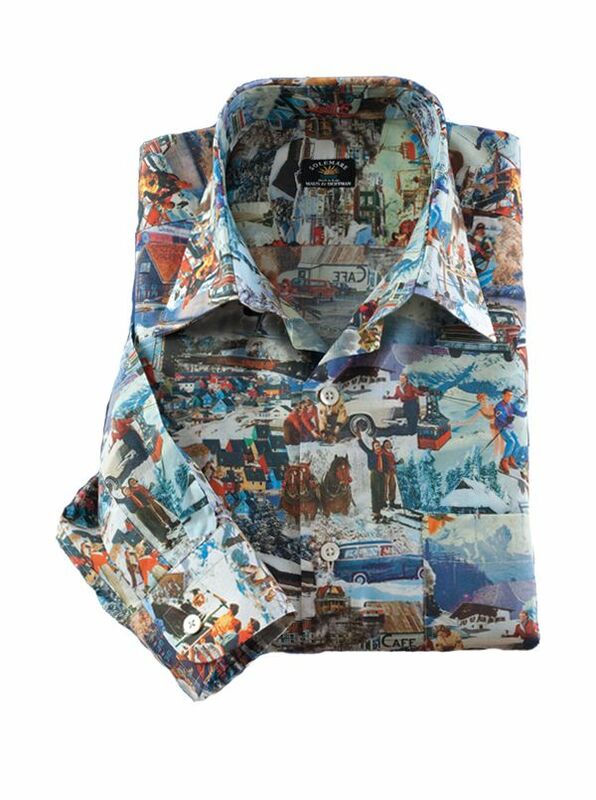 Invernale Shirt of winters past sure to enliven winters present and future. Tailored in Italy of pure cotton printed in Italy exclusively for M&H. With point collar long sleeves single pocket. Most of our Solemare shirts were offered only in our Florida stores due to fabric being available in limited quantities. We are now able to offer these shirts to all our customers through our catalogs and website. We are sure you will look for Solemare shirts after you try your first.